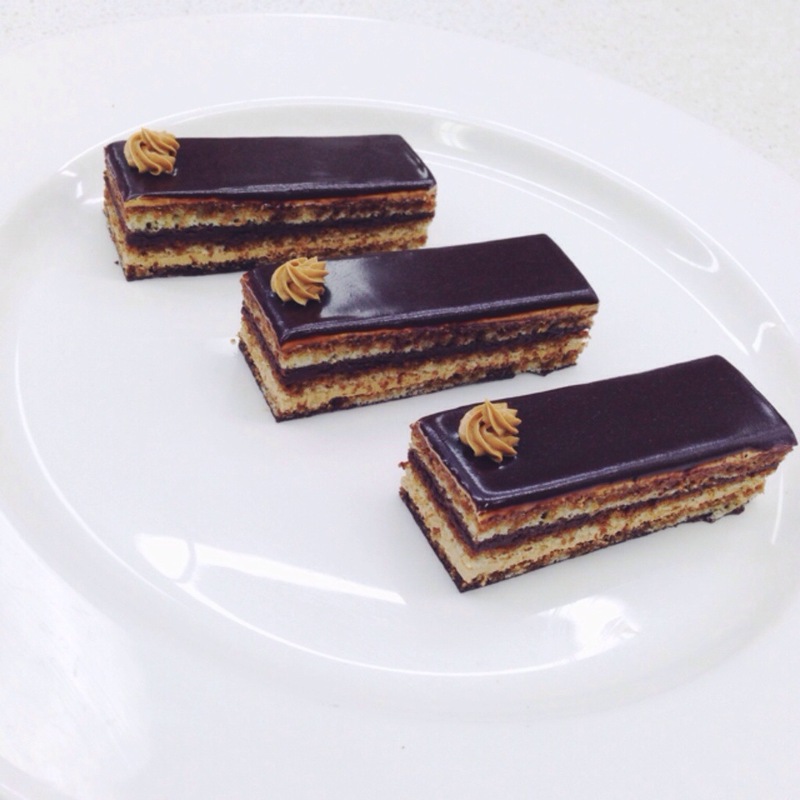 Gâteau Opéra is made of joconde sponge imbibed in coffee syrup, layered with chocolate ganache and coffee buttercream, topped with chocolate ganache glaze. This is one of my favourites. I used french buttercream for the cake. French buttercream is made by whisking the egg yolks with a hot sugar syrup that has reached the soft-ball stage until the mixture turns light. When the mixture is at rtp. butter and other ingredients (e.g coffee extract or vanilla extract) is added to the mixture and combined well with the rest of the ingredients.